I'm part owner of N16AL, a fiberglass glider with a 15-meter wingspan and contest ID "H3". 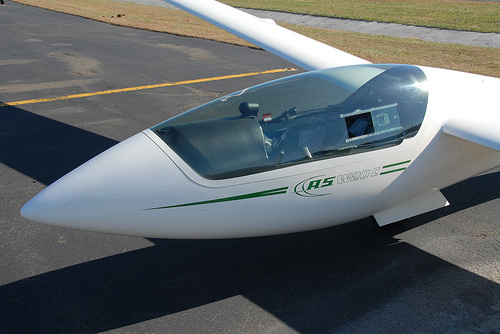 H3 is an ASW-20C built in 1985 by German sailplane manufacturer Alexander Schleicher. H3 was previously owned by former Hungarian Air Force pilot and local soaring celebrity Bela Gogos.